Shivpal also exuded confidence that for any government formation in 2019, his party support is necessary. According to media reports, the Firozabad constituency is held by Shivpal’s nephew Akshay Yadav. Akshay is the son of his estranged brother SP leader Ram Gopal Yadav. Earlier also, Shivpal had said that BSP-SP alliance is a mismatch and both leaders are unreliable. On January 12, arch rivals BSP and SP had announced that they would contest the upcoming Lok Sabha elections together in Uttar Pradesh. The parties would share 38 seats each of the total 80 parliamentary constituencies in the state. Yadav said he did not want any high-ranking designation in the Samajwadi Party. “I only wanted respect, but I was separated (from the party) as part of a conspiracy. 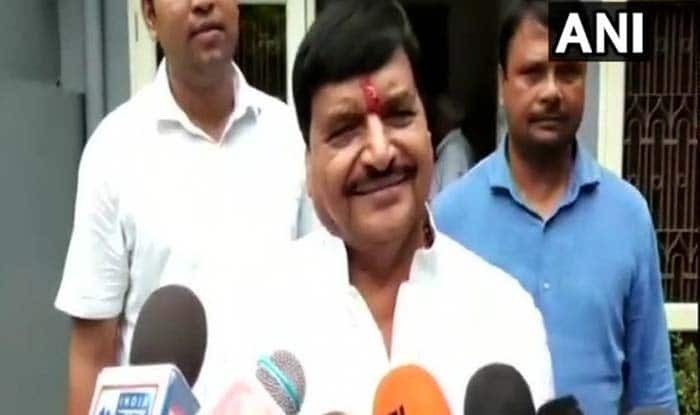 Last year, Shivpal Singh Yadav had announced his new political party, Pragatisheel Samajwadi Party Lohia (PSPL). Yadav had launched the party after he fell out with his nephew and Samajwadi Party (SP) president Akhilesh Yadav. At the launch of his front, Yadav had said he felt neglected in the SP, which was founded by his elder brother Mulayam Singh Yadav after his nephew took charge of the party. Earlier, Yadav had announced that his front will contest all 80 Lok Sabha seats in the 2019 general elections.